Hello! 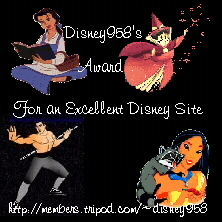 If you have a web page, you can win an award here. I tried to put a character from all the favorite movies into one of the awards, but if there's no character from your favorite movie, but your favorite movie here. 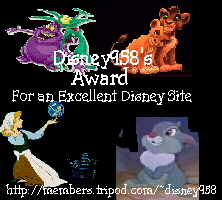 If your site wins an award, I'll put your site name on the award and e-mail it to you. If the form above doesn't work, e-mail me with the information. why, but if you get back onto 3.0, they look fine.